is engineered to withstand the most demanding environments in the grain handling and transportation. 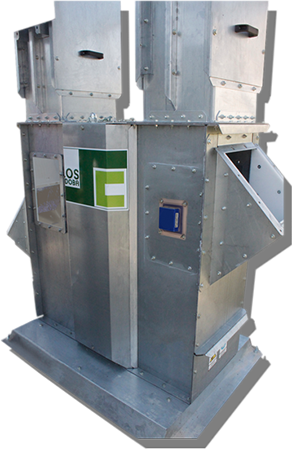 Its solid and robust design provides years of reliable service. Made of S350GD galvanized steel sheet with Z-600 metal coating, ECI Bucket Elevator can operate efficiently with a wide range of grains, seeds, legumes and pellets. 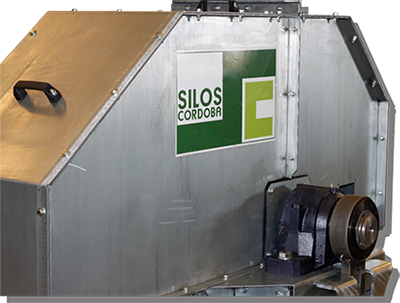 It’s worthy of note the reaction arm – designed and manufactured by Silos Cordoba – as well as the way the head section is attached to the rest of the machine and the set where the bearings lay. The interior curved and reinforced wear protection ensures long service life. Maintenance tasks on the head section can be performed quickly and easily since its components are easily accessible. Intermediate sections stand out for their simplicity in design and assembly. They consist of only three different parts. 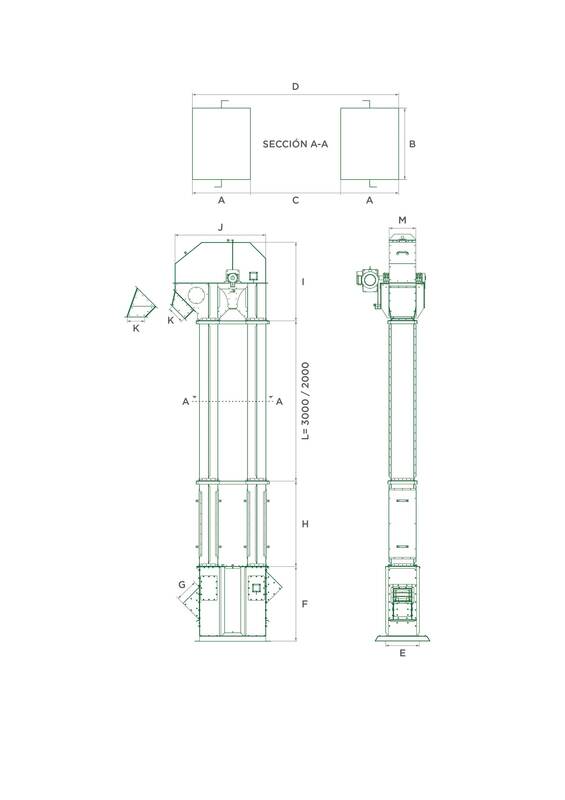 The junction between the intermediate sections provides high rigidity to the elevator and allows the quick installation of stairs and head section platform. Its design allows quick access to the belt and/or buckets. Thanks to its easily accessible doors, maintenance tasks can be performed easily. The doors also ensure excellent seal, preventing leakage of grain. Thanks to its design, all mechanical elements are hidden, ensuring the elevator to be fully protected against bad weather conditions. 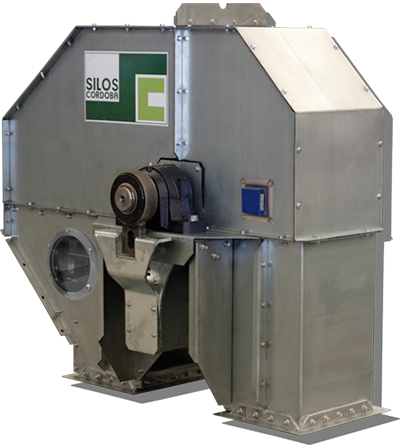 It features a newly designed pulley that prevents accumulation of grain. The interior is made of wear resistant materials to ensure a long service life. Belt misalignment detectors and rotation sensor come as standard.